A few days ago, a very surprising e-mail landed in my inbox - a widespread message from Disney that their MMORPG, ToonTown Online, would close its gates after 10 years of activity next month. I really didn't know how to take the e-mail, if I'm honest; I played ToonTown from 2004 till 2007, then again from April - June 2013. I stopped playing it two months ago due to a lack of interest and commitment to other activities, but the game is still good fun and will always be important to me. It seems strange that even though Disney heavily reduced their influence on the game after 2008, they would abruptly shut it down despite its huge fanbase. Now, Disney isn't doing this without reason: their Interactive unit has been suffering in recent years, and 2012 saw losses of around $216 million which isn't exactly acceptable, even for a gargantuan conglomerate like Disney. The recent release of Disney Infinity is part of a new direction for the video game subsidiary, and the company intends to focus heavily on their hugely successful Club Penguin game when it comes to online virtual worlds. 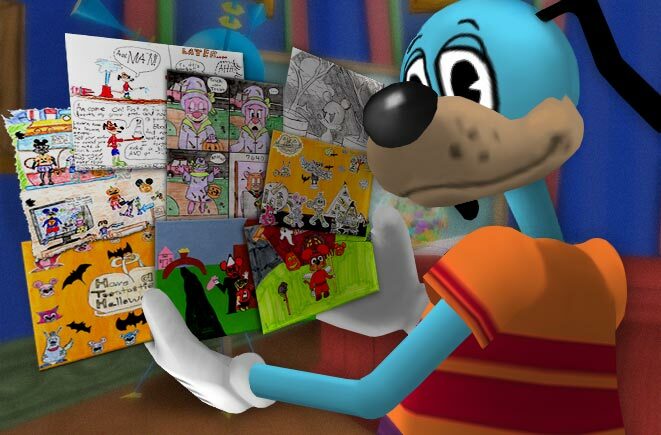 ToonTown clearly isn't as profitable as it once was and it seems shutting it down is the last resort to keep the money sound. For those of you unfamiliar with the game, let me bring you up to speed: ToonTown Online is a massive multiplayer online video game created by Disney Interactive, billed as the first type of such a game for children. 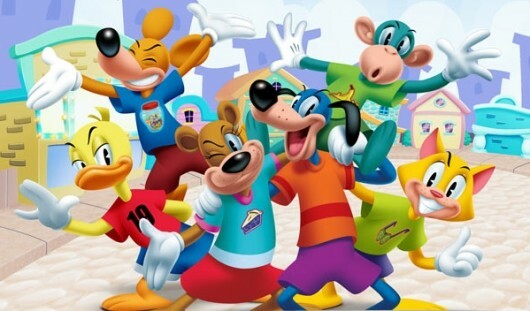 It launched in 2003, and allows you to create your own cartoon character from an animal basis (a duck, dog, bear etc) and freely roam around the world of ToonTown, which features cities, docks, fields and factories modelled after Disney's rich history. The world is under the oppression of the evil cogs, a gang of robots who seek to turn the fun and carefree toon universe into one of business and accounting. Toons must use gags, such as cream pies, water flowers and anvils, to destroy the cogs and restore happiness to the toon world. This explanation barely covers the entirety of the game, so those not knowledgeable of it still won't have a clue what I'm talking about in the next paragraphs. But keep reading anyway. Disney never released any figures on the number of users, but it's estimated that during 2007 it had around 1.2 million - though this is a great figure, other popular MMORPG's like RuneScape and Disney's own Club Penguin have over 200 million registered accounts. It's clear that ToonTown attracts a lot less attention now than it did in its prime, partially due to Disney's own abandonment of the game. The last major update to the expansive world was the addition of BossBot HQ, the headquarters for the BossBot cogs, which was during 2008. Since then, not a lot of new stuff has appeared in the game bar new items to purchase, a redesigned Toon HQ in ToonTown Central and the addition of Birthday Parties which attracted minimal interest. Disney have since done absolutely nothing with the game - the world is divided into neighbourhoods which are different parts of the toon world, and the last of these to be added was Chip N Dales Minigolf in 2007. And if you go there now, you won't find a single player in sight. ToonTown is a superb game, even for older audiences. The graphics are excellent, the music is jubiliant and upbeat and the amount of activities to do is exceptional. The game allows you to undergo a series of ToonTasks to gain rewards and prizes, but you can ignore the main quests and enjoy many other activities the game has to offer such as kart racing, fishing, gardening or playing minigames. You can chat to other players using in game phrases or through typing messages (though many words are blacklisted to prevent swearing or sharing personal details) and these players can also be added to your friend roster so you can keep in touch. There's undeniably plenty to do within the game and it's sad to see such an expansive and enjoyable world finally reach its end. ToonTown is arguably what triggered my love of Disney. Sure, I loved Disney films as a kid - but playing this game made me a loyal Disnerd and encouraged to further explore the company's multitude of media. It's packed with Disney lore and is easily one of the best MMORPG's in recent memory. However, while I like to take part in the numerous petitions to try and save it from closure, it seems inevitable that ToonTown has to close its gates once and for all, as Disney clearly have no hope for the game's future and the lack of interest from players is very apparent. Club Penguin is getting all sorts of promotions for new Disney releases, such as Monsters University and even Star Wars, but ToonTown has been left with nothing. I personally think Disney have a great game here if they only put some more effort into it, but what's done is done, and it seems the beloved virtual world has indeed had its time. The game officially closes on September 19, and until then all members can enjoy all the unlimited features of paid users without emptying their wallets at all. No new accounts can be created, and when the aforementioned date arrives, the servers will be shut down for good. It's a shame and it will be missed.